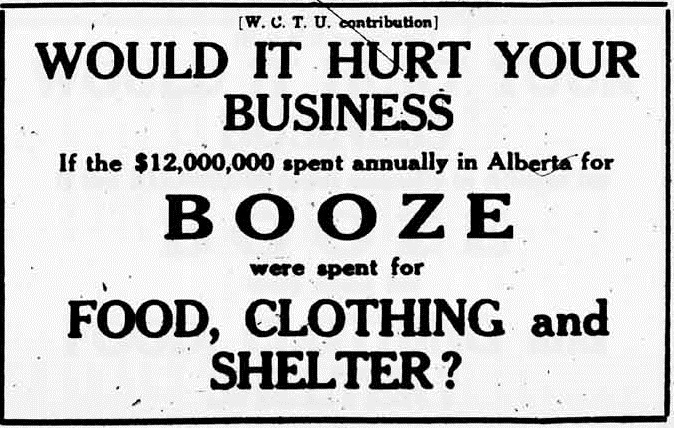 While the Great Powers did battle across Europe and much of the rest of the world, another war was being waged at home in Canada, over the issue of alcohol consumption. By the time of the Great War’s onset, the Temperance movement had been gaining strength in Canada for a number of years, and was increasingly flexing its muscles. In a curious contrast to such evocations of epic struggle against apparently nigh-insurmountable odds, the rhetoric of the WCTU prior to the actual vote on the Liquor Act took on a strangely triumphant tenor. Even while describing the vast power of the brewing industry in the most lurid terms. 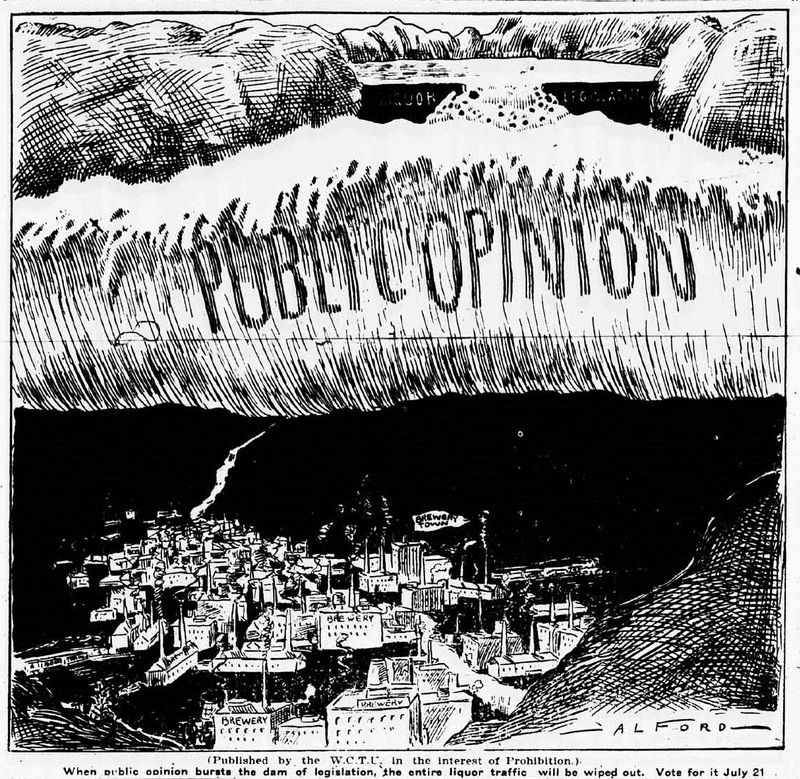 Gordon’s excerpt, for example, was accompanied by a cartoon depicting a flood entitled “public opinion” swooping down to destroy a tranquil congregation of breweries. The imagery of inevitability, May 20th, 1916 (ourfutureourpast.ca online archive).